Write Right, an institute of Handwriting Technology, was established 16 years ago with a vision to incorporate good handwriting skills in individuals. 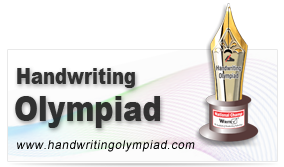 Our expert team has dedicatedly worked for several years to develop all new handwriting improvement methods that guarantee 100% results. Over the years, the company decided to serve even a larger segment through its services, and so we associated with educators all across the nation and globe. Today, we are a successful association of over 1000 franchises who have been enduring to impart good handwriting skills all over. We provide golden business opportunities to those who are already in the education sector and to those who want to expand their horizon of working as educators. We do not compromise on quality and so we ensure that our associates are equipped with the best services, so that they can deliver best outcome to the students. Why do we say that Write Right’s franchise is a chance for a lifetime? We offer an opportunity that is proven to be profitable, as we provide constant ongoing support right from the beginning. With the required amount of dedication and hard work from our associates, we ensure a fruitful venture that generates revenue, provides growth and satisfaction. Write Right, presents a proven business model that needs no market study and research to start the business as it has already been done by our researches and then structure the handwriting improvement program. All this is offered to the franchise within a minimal fee ensuring high returns. The company provides one-to-one training to the franchise and the trainer for getting complete knowledge about the program. Not only this initial training, but also an unending training throughout the tenure is given in case of any problem. This is therefore the right time to invest into the right education program by becoming a handwriting franchise of Write Right. It is not only gainful, but also gives contentment to serve the society with a noble cause of teaching penmanship.